The E-Class Professional Plus printer is an entry level lightweight, compact desktop machine for sophisticated application and large internal media capacity . The DMX-W-6308 features an all-metal construction designed to withstand adverse work environments. With a 6.4" (163mm) Print Width , 300 DPI (12 dots/mm) and speeds up to 8" (203mm) per second makes it ideal for heavy-duty Application s in the automotive, chemical, transportation and paper-processing industries. It is equipped with a 32-bit 90-MHz true multi-tasking Motorola ColdFire processor and 16MB of standard Memory , which provides accelerated first- Label output and variable-data printing. 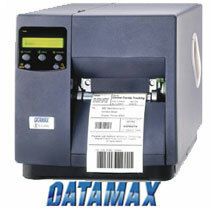 It is an ideal printer for mission critical compliance Labeling Application s including ODETTE , EAN-128 and AIAG Labels. The DMX-W-6208 features an all-metal construction designed to withstand adverse work environments. With a 6.6" (168mm) Print Width , 203 DPI (8 dots/mm) and speeds up to 8" (203mm) per second makes it ideal for heavy-duty Application s in the automotive, chemical, transportation and paper-processing industries. It is equipped with a 32-bit 90-MHz true multi-tasking Motorola ColdFire processor and 16MB of standard Memory , which provides accelerated first- Label output and variable-data printing. 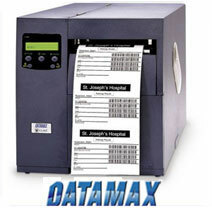 It is an ideal printer for compliance Label ing Application s including ODETTE , EAN-128 and AIAG Label s.
The DMX-W-6208 is equipped with an adjustable- Contrast LCD front-panel display that allows operators to select Media , speed and temperature settings as well as network connectivity options. 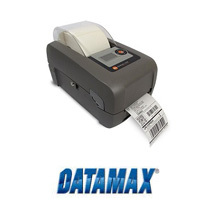 The I-4604 printer is perfect for Applications that demand printing very small Labels, high- Resolution graphics, or Two-Dimensional Barcode s. With a 600 DPI (24 dots/mm) Printhead and the ability to accurately maintain print Registration , the I-4604 produces small Labels for Application s such as tracking small parts with high Resolution Barcode Labels, printing high quality graphics for identifying wiring harnesses, cosmetic Labels or adding an intricate Datamatrix, Aztec, or PDF417 Barcode Label to a package. When it comes to reliability, ease of use, maintenance, and high performance, there is just one choice - the I-4604. It's the industry's answer to your high performance, high- Resolution printing needs. All units ship with product documentation. 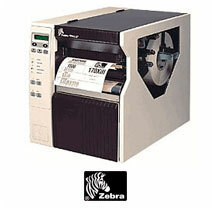 The CL6e Series are high speed, versatile wide printing industrial printer. The industrial-strength 170XiIII Plus can print large volumes of high resolution labels up to 6.6 inches (168 mm) wide at eight inches per second (ips). 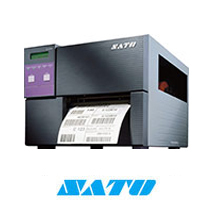 With its all metal construction, this printer is ideal for tough applications including compliance labels (AIAG, ODETTE, UCC/EAN-128, etc. 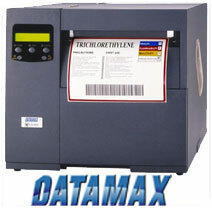 ), product identification labels, pallet shipping/receiving labels either on demand or in batches.